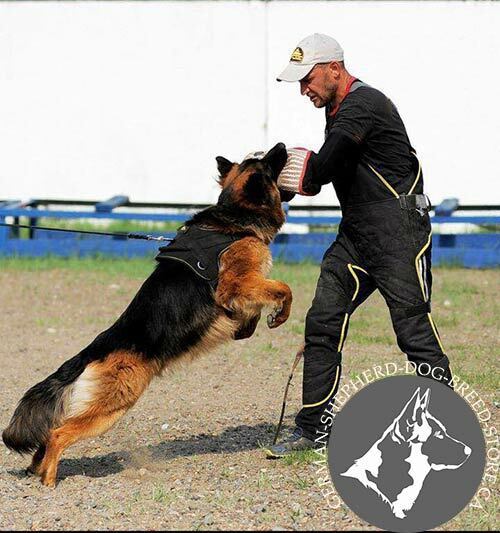 Walking a dog is necessary thing for his healthy growing and developing. 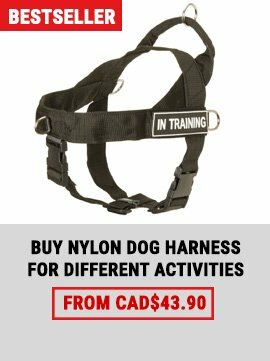 And no matter what the weather is outside, in our Light Weight Nylon Harness you can go out with your dog while it is raining or even snowing. Don't be embarrassed this product has high water resistance and color stability. Thanks to not stretching material structure and abrasion resistance this supply is strong enough for pulling training sessions and tracking. 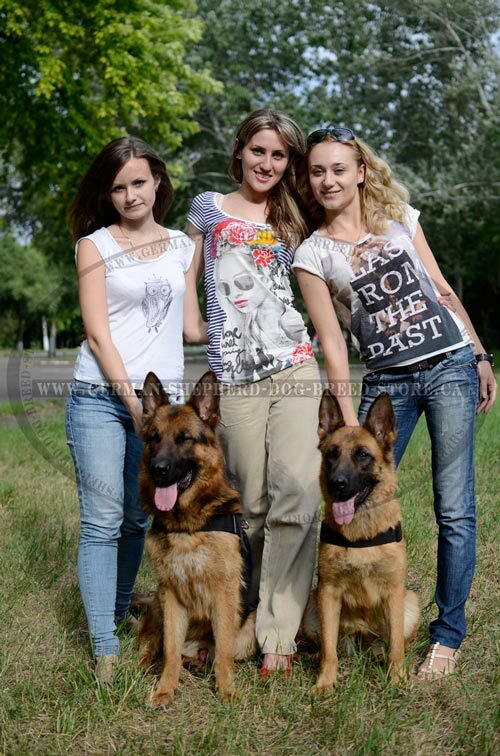 It is suitable for police, search, rescue, specific odor detection, sport and Schutzhund dogs. 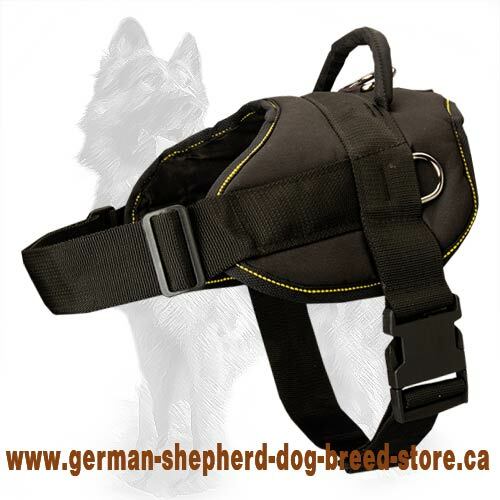 This model is quite popular among other pulling harnesses, because it can be justly called multifunctional dog supply. It has light weight and comfortable shape. 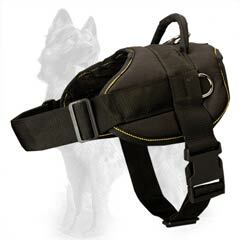 Having such qualities this All Weather Nylon Harness allows a dog moving his neck and all four legs freely enough. Besides, there is no any obstacle for breathing easily. All these characteristics make it perfect for long period workout or service. 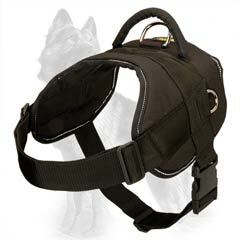 For more comfort while pulling this harness has wide straps that prevent cutting into a dog's skin and well stitched soft back plate that is equipped with a reliable handle and three nickel plated steel D-rings for attachment of a leash or a cargo. Moreover it is quite easy to put this harness on a dog: at first time regulate all the straps according to your German Shepherd's size and hereafter just fasten it using only a quick release buckle. 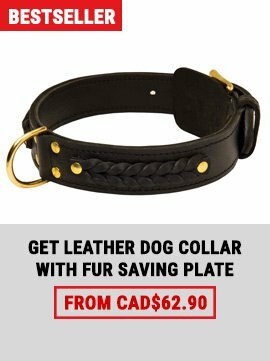 One click, and your pet is ready for a work. Our Comfy Nylon Harness is specially designed for pulling, so it can be used for developing a dog's musculature, sledging and playing with children. 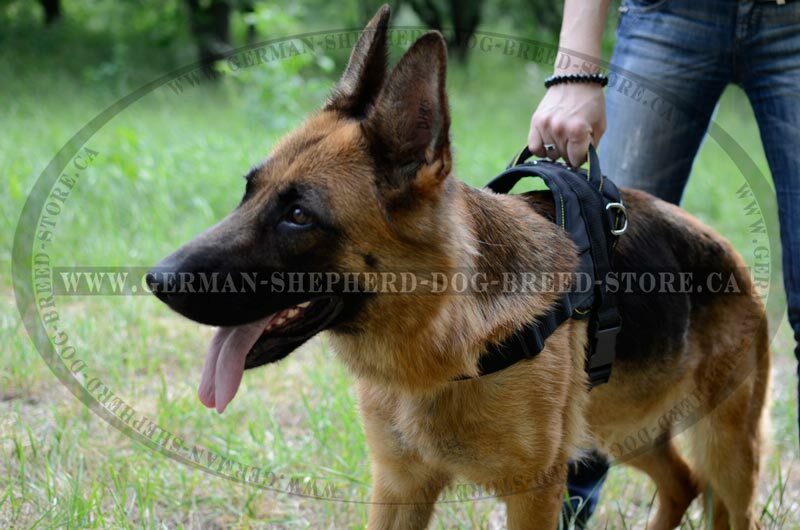 While all these activities your German Shepherd is rather protected from traumas wearing this harmless supply. We recommend you to purchase reflective trim for walking at night. 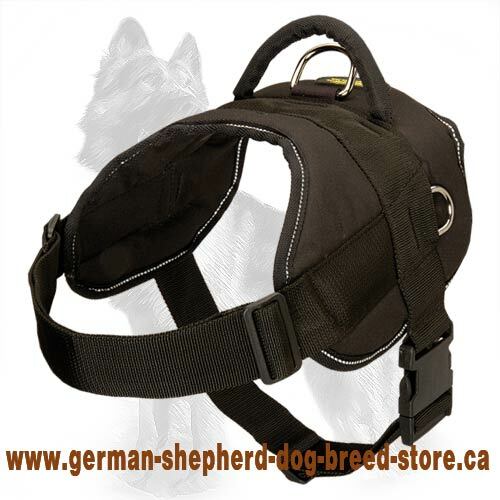 It will make your dog seen for drivers and other people, and it helps to notice him from a long distance. 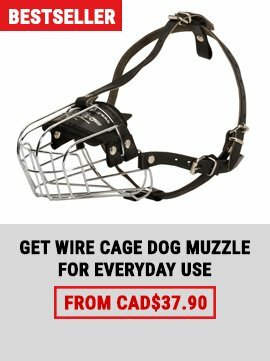 So ensure the safety of your pet in the dark.